Washington DC is known for museums, historic sites, nightlife, zoos & aquariums, and parks. Your plan includes some of its best attractions: examine the collection at National Air and Space Museum, get engrossed in the history at United States Holocaust Memorial Museum, explore the world behind art at National Gallery of Art, and ponder the world of politics at White House. To see other places to visit, where to stay, more things to do, and tourist information, read our Washington DC visit planner . Nashville to Washington DC is an approximately 4.5-hour flight. You can also do a combination of flight and train; or drive. The time zone changes from Central Standard Time to Eastern Standard Time, which is usually a 1 hour difference. In May in Washington DC, expect temperatures between 76°F during the day and 58°F at night. Finish up your sightseeing early on the 29th (Wed) so you can travel to New York City. New York City is known for museums, nightlife, shopping, historic sites, and parks. Your plan includes some of its best attractions: don't miss a visit to Central Park, learn more about the world around you at American Museum of Natural History, enjoy breathtaking views from Empire State Building, and take in the pleasant sights at The High Line. To find ratings, where to stay, more things to do, and more tourist information, use the New York City journey maker app . You can fly from Washington DC to New York City in 3.5 hours. Other options are to take a train; or drive. Traveling from Washington DC in May, you will find days in New York City are little chillier (69°F), and nights are about the same (55°F). Wrap up your sightseeing on the 2nd (Sun) to allow time to travel to Chicago. Chicago is known for museums, historic sites, nightlife, zoos & aquariums, and childrens museums. Your plan includes some of its best attractions: explore the world behind art at The Art Institute of Chicago, get your game on at Fox in a Box Chicago, see the interesting displays at The Field Museum, and explore and take pictures at Millennium Park. For more things to do, traveler tips, where to stay, and tourist information, read our Chicago online trip maker . Getting from New York City to Chicago by combination of bus and flight takes about 5 hours. Other options: fly; or drive. Traveling from New York City to Chicago, you'll gain 1 hour due to the time zone difference. June in Chicago sees daily highs of 81°F and lows of 63°F at night. Wrap up your sightseeing on the 5th (Wed) early enough to travel to Yellowstone National Park. On the 7th (Fri), dedicate a day to the elevated beauty of Mount Washburn. Spend the 10th (Mon) exploring nature at Fairy Falls. 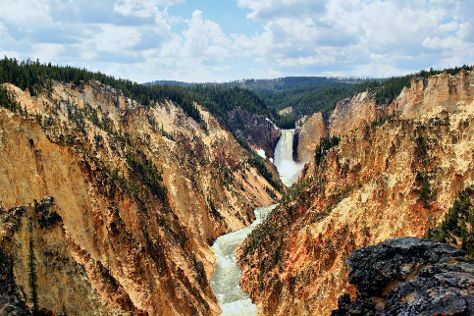 The adventure continues: explore the stunning scenery at Grand Canyon of the Yellowstone, witness a stunning natural landmark at Grand Prismatic Spring, contemplate the waterfront views at Yellowstone Lake, and take some stellar pictures from Observation Point Trail. To find traveler tips, photos, and tourist information, use the Yellowstone National Park road trip site . Traveling by combination of flight and car from Chicago to Yellowstone National Park takes 7 hours. Alternatively, you can do a combination of flight, shuttle, and bus; or drive. The time zone difference when traveling from Chicago to Yellowstone National Park is minus 1 hour. Traveling from Chicago in June, you will find days in Yellowstone National Park are little chillier (66°F), and nights are colder (34°F). Cap off your sightseeing on the 10th (Mon) early enough to travel to Glacier National Park. Spend the 11th (Tue) exploring nature at Waterton-Glacier International Peace Park. There's lots more to do: admire the sheer force of Virginia Falls, stroll through Iceberg Lake Trail, take in the awesome beauty at Mt. Clements, and contemplate the waterfront views at Iceberg Lake. To see where to stay, ratings, other places to visit, and more tourist information, use the Glacier National Park trip planner . Traveling by combination of car, flight, and taxi from Yellowstone National Park to Glacier National Park takes 8 hours. Alternatively, you can drive. Prepare for a bit warmer weather when traveling from Yellowstone National Park in June: high temperatures in Glacier National Park hover around 75°F and lows are around 45°F. Finish up your sightseeing early on the 14th (Fri) so you can travel to Seattle. 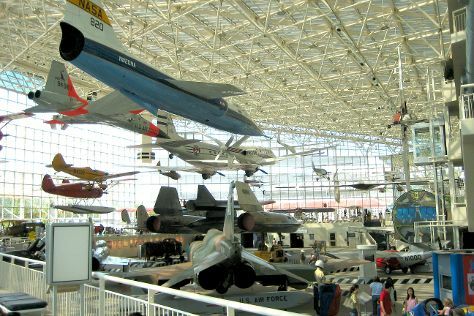 On the 15th (Sat), see the interesting displays at The Museum of Flight, get a taste of the local shopping with Pike Place Market, look for gifts at Glasshouse Studio, then explore the world behind art at Chihuly Garden and Glass, and finally enjoy breathtaking views from Space Needle. On the 16th (Sun), you'll have a packed day of sightseeing: meet the residents at Seattle Aquarium, meet the residents at Woodland Park Zoo, explore the activities along Hiram M. Chittenden Locks, then admire the masterpieces at Seattle Art Museum, and finally take in nature's colorful creations at Bellevue Botanical Garden. To find photos, ratings, traveler tips, and other tourist information, read Seattle online journey planner . You can do a combination of taxi and flight from Glacier National Park to Seattle in 4.5 hours. Alternatively, you can drive; or do a combination of taxi, train, and bus. Traveling from Glacier National Park to Seattle, you'll gain 1 hour due to the time zone difference. Traveling from Glacier National Park in June, you can expect nighttime temperatures to be somewhat warmer in Seattle, with lows of 57°F. Finish your sightseeing early on the 16th (Sun) to allow enough time to travel to Honolulu. Explore Honolulu's surroundings by going to Haleiwa (Sunset Beach Park & Waimea Bay), Pu’u O Mahuka Heiau State Monument (in Pupukea) and Kailua Beach Park (in Kailua). There's much more to do: stroll the grounds of USS Arizona Memorial, go for a walk through Diamond Head State Monument, stroll through Waikiki Beach, and browse the exhibits of Iolani Palace. To find photos, reviews, where to stay, and tourist information, read our Honolulu trip itinerary builder website . Traveling by flight from Seattle to Honolulu takes 8 hours. The time zone changes from Pacific Standard Time to Hawaii Standard Time, which is usually a -2 hour difference. Traveling from Seattle in June, expect Honolulu to be a bit warmer, temps between 86°F and 74°F. Finish your sightseeing early on the 19th (Wed) so you can travel to Lahaina. Start off your visit on the 20th (Thu): immerse yourself in nature at Iao Valley and then enjoy the sand and surf at Ka'anapali Beach. Get ready for a full day of sightseeing on the 21st (Fri): admire nature's wide array of creatures at Maui Ocean Center, then find your balance on the water with some of the best stand-up paddleboarding in the area, and then enjoy the sand and surf at Wailea Beach. For where to stay, maps, ratings, and tourist information, you can read our Lahaina holiday maker tool . Fly from Honolulu to Lahaina in 3.5 hours. Alternatively, you can do a combination of flight and ferry; or do a combination of flight and bus. In June in Lahaina, expect temperatures between 84°F during the day and 72°F at night. Finish up your sightseeing early on the 21st (Fri) so you can travel to San Francisco. Dedicate the 25th (Tue) to wine at some of the top wineries in the area. There's still lots to do: head off the coast to Alcatraz Island, take in the waterfront at Fisherman's Wharf, explore and take pictures at Golden Gate Park, and buy something for everyone on your list at Ferry Building Marketplace. Take the guesswork out of planning a San Francisco vacation by using our trip itinerary maker. Fly from Lahaina to San Francisco in 10 hours. Alternatively, you can do a combination of bus and flight; or do a combination of bus, flight, and train. The time zone difference when traveling from Lahaina to San Francisco is 2 hours. In June, San Francisco is slightly colder than Lahaina - with highs of 71°F and lows of 55°F. Wrap up your sightseeing on the 25th (Tue) to allow time to drive to Yosemite National Park. Spend the 28th (Fri) exploring nature at Elizabeth Lake, Yosemite National Park. 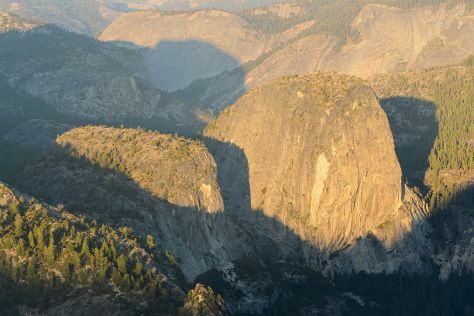 There's much more to do: explore the striking landscape at Glacier Point, admire the sheer force of Vernal Fall, hike along Nevada Falls Loop, and tour the pleasant surroundings at Panorama Trail. For traveler tips, reviews, other places to visit, and more tourist information, read Yosemite National Park driving holiday planning website . Getting from San Francisco to Yosemite National Park by car takes about 4 hours. Other options: do a combination of flight and car; or do a combination of flight and bus. Traveling from San Francisco in June, you will find days in Yosemite National Park are a bit warmer (79°F), and nights are little chillier (43°F). Finish your sightseeing early on the 30th (Sun) so you can travel to Los Angeles. Change things up with these side-trips from Los Angeles: Anaheim (Disneyland Park & Disney California Adventure Park). Pack the 3rd (Wed) with family-friendly diversions at Universal Studios Hollywood. The adventure continues: see the interesting displays at The Getty Center, look and learn at Griffith Observatory, put a fun spin on your tour with Fantastic Race, and take in the waterfront at Santa Monica Pier. To see reviews, traveler tips, photos, and other tourist information, read our Los Angeles trip itinerary website . Do a combination of car and flight from Yosemite National Park to Los Angeles in 4.5 hours. Alternatively, you can drive; or do a combination of bus and flight. Traveling from Yosemite National Park in June, expect a bit warmer with lows of 62°F in Los Angeles. Wrap up your sightseeing on the 4th (Thu) to allow time to drive to San Diego. Pack the 6th (Sat) with family-friendly diversions at SeaWorld San Diego. There's still lots to do: admire nature's wide array of creatures at San Diego Zoo, tour the pleasant surroundings at La Jolla Cove, let little ones run wild at Balboa Park, and get a new perspective on nature at Birch Aquarium at Scripps Institution of Oceanography. For other places to visit, reviews, ratings, and tourist information, use the San Diego trip planner . Drive from Los Angeles to San Diego in 2.5 hours. Alternatively, you can take a bus; or fly. When traveling from Los Angeles in July, plan for slightly colder days in San Diego, with highs around 77°F, while nights are about the same with lows around 68°F. Finish your sightseeing early on the 7th (Sun) so you can travel to Grand Canyon National Park. On the 9th (Tue), hike the day away at Bright Angel Trail. And it doesn't end there: take in breathtaking views at Grand Canyon South Rim, head outdoors with Bar 10 Ranch Activities, tour the pleasant surroundings at Tonto Trail, and hike along South Kaibab Trail. To see other places to visit, reviews, and other tourist information, use the Grand Canyon National Park tour itinerary planner . You can do a combination of flight and bus from San Diego to Grand Canyon National Park in 8 hours. Other options are to drive; or do a combination of flight and shuttle. The time zone difference when traveling from San Diego to Grand Canyon National Park is 1 hour. When traveling from San Diego in July, plan for a bit warmer days in Grand Canyon National Park, with highs around 84°F, while nights are little chillier with lows around 52°F. Cap off your sightseeing on the 12th (Fri) early enough to travel to Las Vegas. Get out of town with these interesting Las Vegas side-trips: Hoover Dam (in Boulder City) and Valley of Fire State Park (in Overton). There's still lots to do: explore the striking landscape at Red Rock Canyon National Conservation Area, push the limits with an extreme tour, admire the local landmark of Bellagio Fountains, and admire the natural beauty at Bellagio Conservatory & Botanical Gardens. To see where to stay, traveler tips, photos, and other tourist information, read Las Vegas online trip planner . Traveling by combination of flight and car from Grand Canyon National Park to Las Vegas takes 4.5 hours. Alternatively, you can drive; or take a shuttle. Due to the time zone difference, you'll gain 1 hour traveling from Grand Canyon National Park to Las Vegas. When traveling from Grand Canyon National Park in July, plan for a bit warmer days and warmer nights in Las Vegas: temperatures range from 104°F by day to 81°F at night. Finish your sightseeing early on the 16th (Tue) to allow enough time to travel to Orlando. Have a day of magic on the 17th (Wed) at Walt Disney World Resort. Have a day of magic on the 19th (Fri) at Magic Kingdom Park. It doesn't end there: find something for the whole family at Universal's Islands of Adventure. Plan my Orlando trip by asking Inpirock to come up with tips and suggestions. You can fly from Las Vegas to Orlando in 9.5 hours. Alternatively, you can drive; or take a bus. Due to the time zone difference, you'll lose 3 hours traveling from Las Vegas to Orlando. In July, Orlando is a bit cooler than Las Vegas - with highs of 91°F and lows of 75°F. Wrap up your sightseeing on the 20th (Sat) to allow time to travel to Gatlinburg. You'll find plenty of places to visit near Gatlinburg: Roaring Fork Motor Nature Trail (in Great Smoky Mountains National Park) and Hartford (River Rafting & Tubing & 5 Rivers Adventures). There's much more to do: take your sightseeing to a higher altitude at Mount LeConte, sample the fine beverages at Sugarlands Distilling Company, take a memorable drive along Newfound Gap Road, and take in the dramatic scenery at Ramsey Cascades. For where to stay, reviews, ratings, and other tourist information, use the Gatlinburg trip builder tool . Do a combination of flight and taxi from Orlando to Gatlinburg in 4.5 hours. Alternatively, you can do a combination of flight and car; or drive. Traveling from Orlando in July, plan for a bit cooler nights in Gatlinburg, with lows around 69°F. Wrap up your sightseeing on the 24th (Wed) early enough to drive back home.